The stock market isn't the only thing dropping. Bonds, which are supposed to be the safe part of every investor's portfolio, have faltered, too. "They kind of say, 'I thought when stock prices go down, bonds go up?'" he said. When the Fed raises rates, bonds typically begin paying more in interest. That's good for investors who buy those more lucrative, newly issued bonds. But the old bonds sitting in bond funds' portfolios see their prices drop, because they suddenly look less attractive than the new ones. "People have become quite trained on seeing only positive returns from their bond funds," said Mike Dowdall, investment strategist at BMO Global Asset Management. But he said negative returns are to be expected every now and then. And "that's OK," he said. Bonds and bond funds are "still going to provide income, and it still makes sense to have that diversification." Even if rates rise, experts say it's very unlikely that a bond fund would have losses as sharp as stocks are capable of. Bonds make regular interest payments, which helps steady their returns. And if a company goes bankrupt, bondholders are ahead of stock investors in the line to get their money back. U.S. government bonds, meanwhile, are considered virtually free of risk of default. That's why bonds rallied in 2011, when stock markets around the world tumbled on worries that Europe's debt crisis would tear apart the European Union, in 2008, when the financial crisis hit its depths, and in 2000, when the dot-com bubble was bursting. 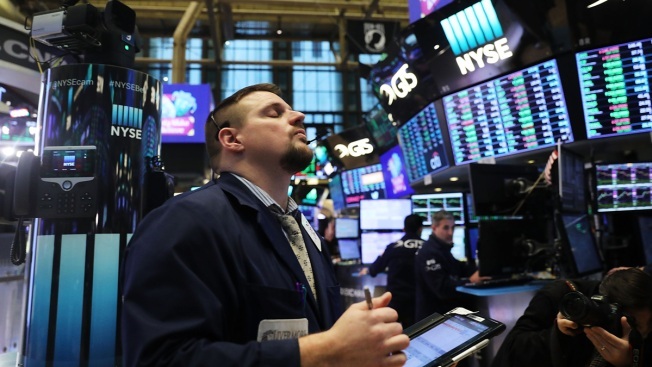 That's why he suggests investors muddle through the volatile patches, such as the last couple of weeks where both bond and stock prices went south. "On any given day, you might see the relationship flip on its head, where bonds go down and stocks go down," he said. "This week has been pretty topsy-turvy, but on the worst days (for stocks), you saw bonds do exactly what you thought they would do: They rallied." The next big test for the bond and stock markets could be on Valentine's Day, when the government releases its next monthly update on inflation.